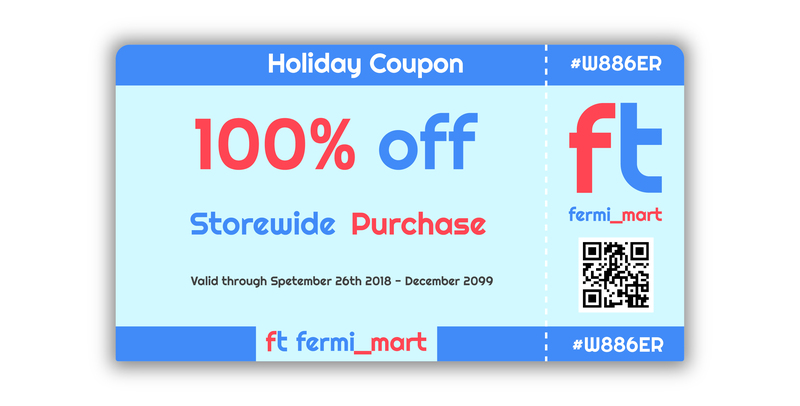 Question: Suppose there are 25 different types of coupons and suppose that each time one obtains a coupon, it is equally likely to be any one of the 25 types. 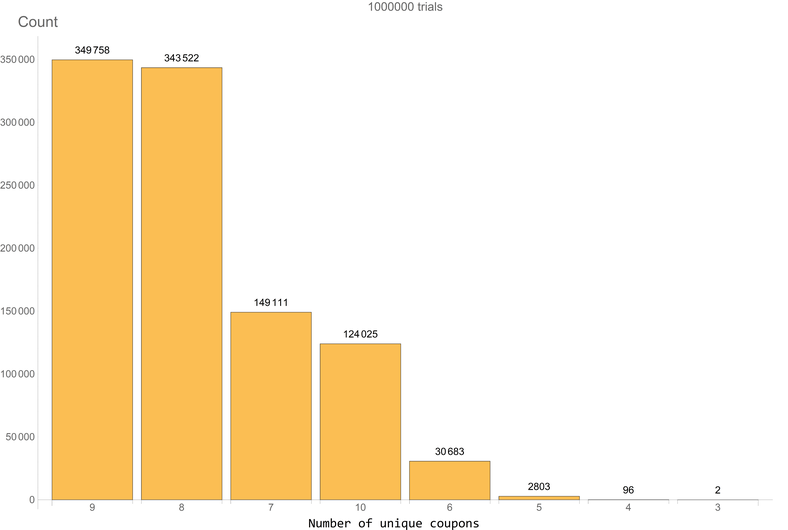 Compute the expected number of different types that are contained in a set of 10 coupons. Simulation: This part is very straightforward. We will create a list of numbers from 1 through 25 and do a random choice of 10 instead of a random sample of 10. This would mean that you are allowing the program to repeat the selection of the numbers from the master list of 1 through 25. We repeat this process a bunch of times. Then we do a union of each set of 10 and count the number of unique coupons in each of the set. Let us see how the simulation brings out the answer. Code: This was the code used for the simulation. It is written using a lot of shorthand notation so it is not seem very long.